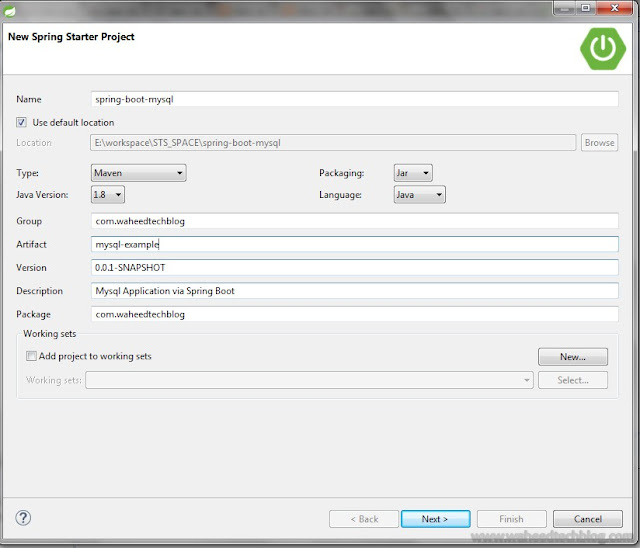 The simplest way of creating Spring boot with MySQL application is via Spring starter project using STS (Spring Tool Suite) IDE. Select project type as Maven, provide project name, packaging, and Java version etc. After finishing, It will create the project structure with all required dependency. Now, Create the @Entity model (User) which should be persisted in the database. 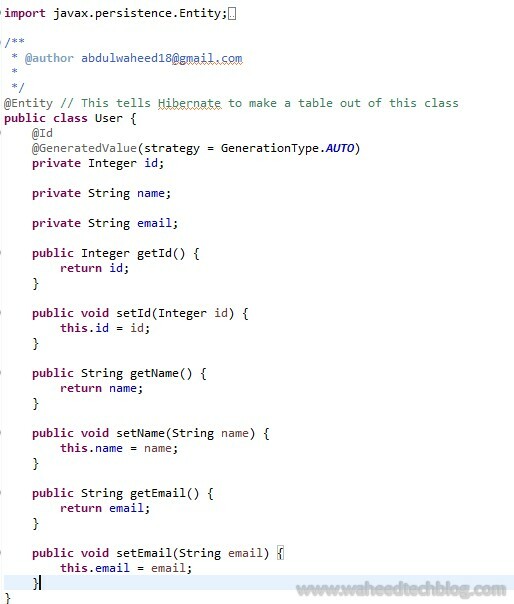 Hibernate will automatically translate entity class into a table. 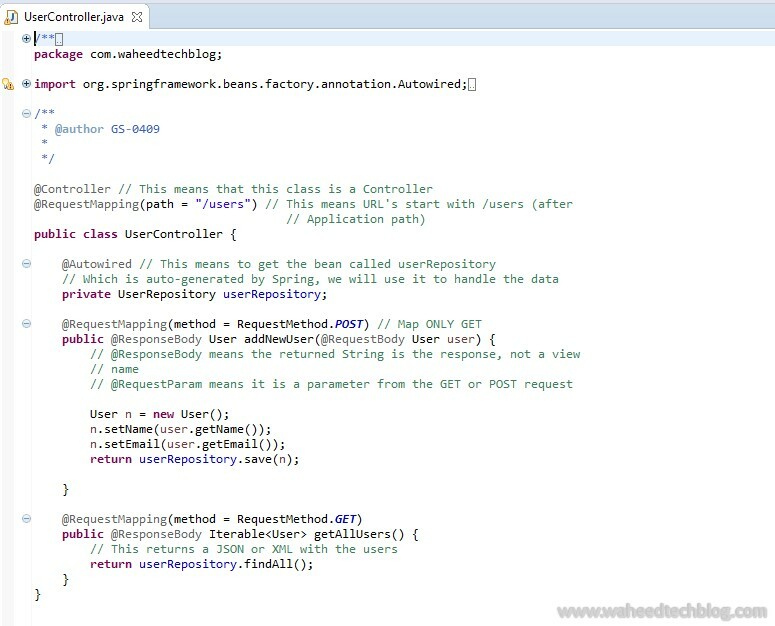 Create the repository (UserRepository.java). 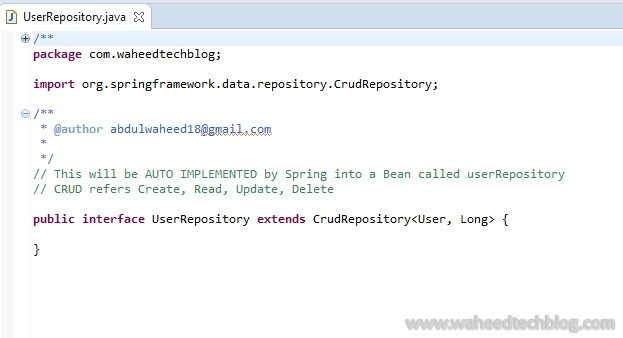 The Repository interface will be automatically implemented by Spring in a bean with the same name with changing case. For UserRepository, the bean name will be userRepository. 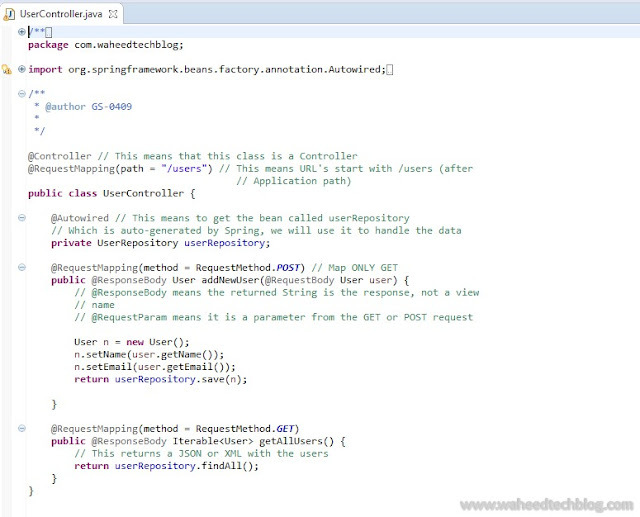 To handle HTTP request, Create a Controller class (UserController.java) having method POST and GET operations. As there is no user present into the database that is why we see empty list. 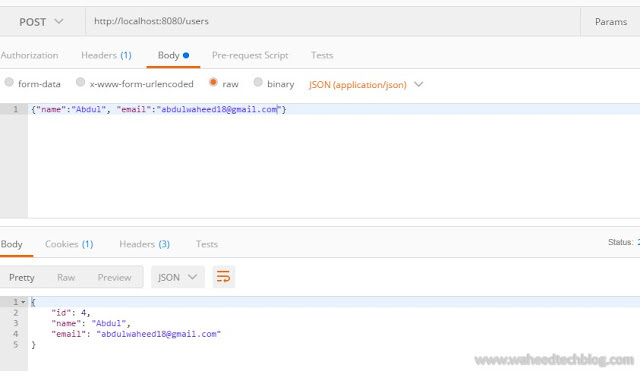 Let's add few users using POSTMAN. Congratulations! We've just developed a Spring application which is bound to a MySQL database, Ready for production! Source code can be downloaded from GITHUB.